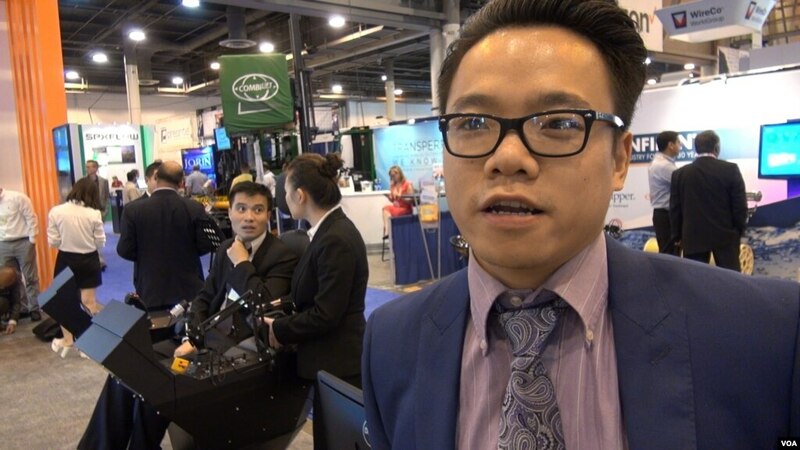 You can try out a training device with a Virtual Reality headset without having to wait in a line at the HuangHua Group’s large display area at this year’s Offshore Technology Conference in Houston. In fact, you can roam the exhibits and the hallways of Houston’s NRG Center pretty freely as attendance is noticeably down from previous years. The Offshore Technology Conference, which ends Friday, has drawn representatives of the oil and gas industry from around the world for the past 47 years, during which time worldwide offshore operations became an important component of yearly oil production. But the slump in oil prices that began in 2014 has taken a toll, dampening the energy at this energy industry event. HuangHua Group’s Milo Lu says low oil prices have reduced exploration activity almost everywhere. “The only area where we still have something going on is the Middle East; everything else is pretty dead,” he said. 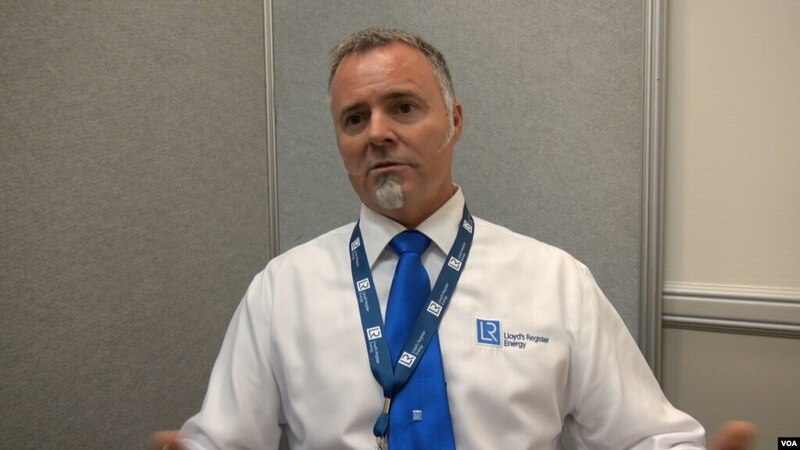 So, why set up a large display at this year’s Offshore Technology Conference? Lu says even in this depressed market there could be a customer or two who will come by the exhibit and decide to make a purchase, if not immediately, then maybe when oil prices rise significantly in the future. Representatives of other oil service companies have expressed similar sentiments. No one wants to predict when the slump will end, but they all express confidence in it ending eventually. 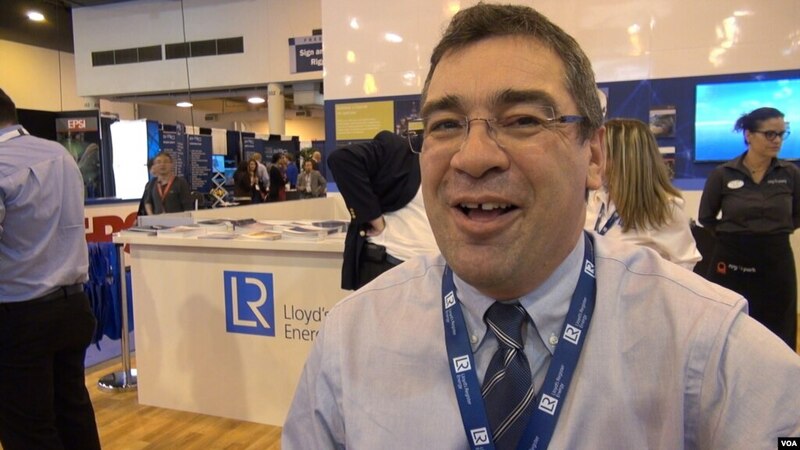 Richard Nott of London-based Lloyd’s Register Energy believes oil companies shutting down projects now may one day need his company’s assistance. Lloyd’s Brady Austin, who works at the company’s Houston office, said developing an offshore project is an expensive long-term investment. “It takes years to get all that in place because a lot of decisions need to be made and in a market like this you have to critique each one even more,” he said. Austin and others also see opportunities to help companies deal with the challenges of a low-cost environment and downscaled work force. Even though there have been massive cutbacks in the oil and gas industry worldwide over the past year or so, some new projects still go forward, and production continues at many sites where the major investment has already been made. One area in which demand is fairly constant is safety. 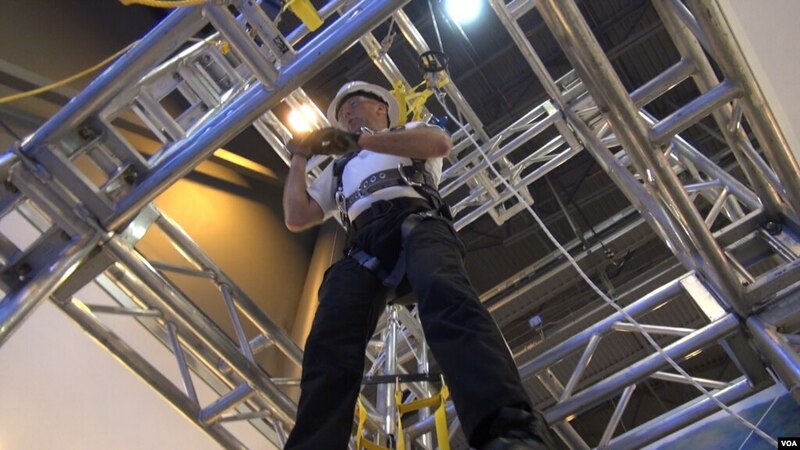 At 3M Corporation’s booth, Steve Kosch demonstrated a safety harness and escape system for companies that put workers on tall derricks. He said regardless of the slump in oil prices, companies need to keep up with safety technology. Another area of ongoing activity is compliance with environmental regulations. Oil companies operating in the U.S. zone of the Gulf of Mexico, for example, must properly seal wells no longer in use to prevent any possible leakage. Wild Well Control was one of the companies offering new technology to carry out such operations with advanced systems for injecting cement into well bores. The company estimates that there are currently between 300 and 400 such well sites that need to be sealed in the Gulf of Mexico. When will prices rise again? Naturally, when executives, engineers and planners working in the oil and gas industry gather together at a conference, there is a lot of talk about how long the current slump will last. Last year there were still many people predicting a near-term recovery, but that obviously did not happen. So, this year, most attendees seemed to be resigned to an uncertain future with no recovery in sight within the next year. A few months ago, the price of oil was down as low as $26 a barrel, but it has now risen to over $40 a barrel. That helps companies with relatively low-cost projects, but it is not enough to revive some of the more complex and costly enterprises. The chief problem is an oversupply of crude oil estimated at around one billion barrels that is being supplemented by more production. Many of the wells in Texas, for example, that use hydraulic fracturing to extract oil from deep shale deposits have continued to eke out a small profit. OPEC nations, principally Saudi Arabia, have also continued to produce oil, declining to take effective measures to curb supply and raise prices. This, added to the economic downturn in China and sluggish growth in many western nations, has kept any rise in oil prices in check. While some experts believe prices will make significant advances by next year, others say any upticks will soon be followed by another drop in prices. Perhaps by the time of the 48th annual Offshore Technology Conference it will be easier to determine which side is right.